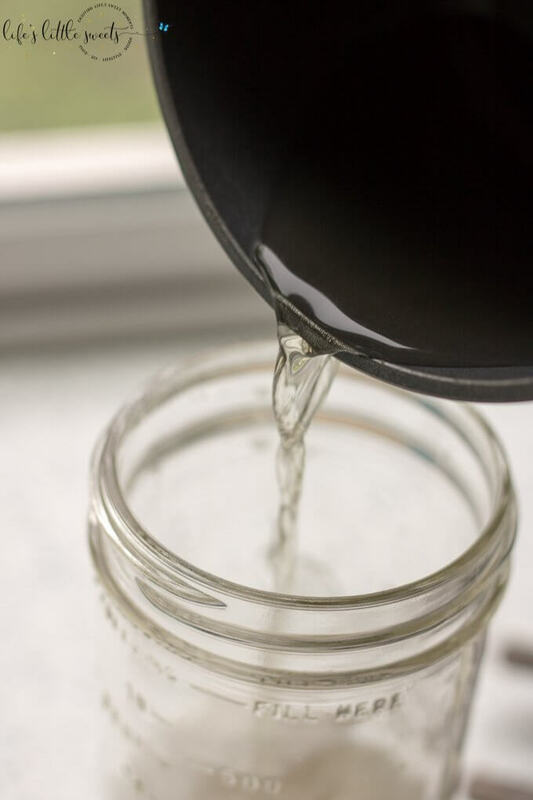 Hey Everyone, this Lavender Simple Syrup has been something that I’ve been thinking about a lot (for the past 3+ years) but just haven’t gotten around to doing until now. 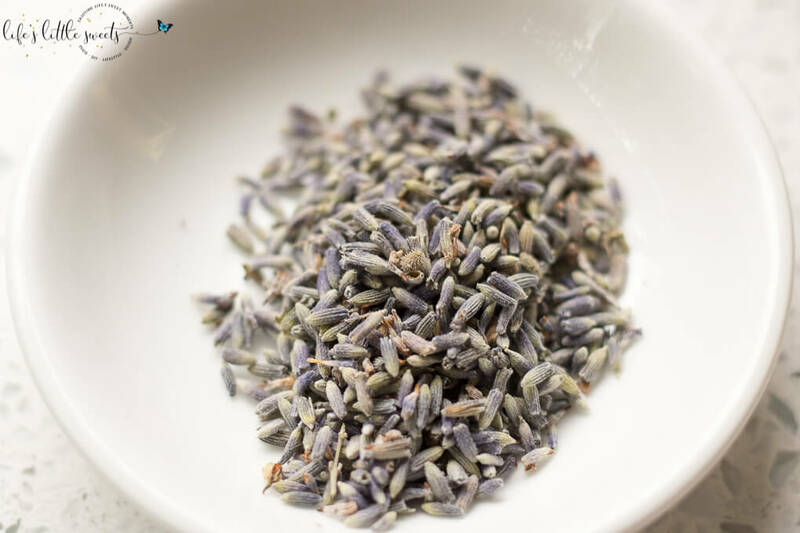 This Spring my blog turned 3 (see my Easy Breakfast Mug Cake post) and it also takes about 3 years for a lavender plant to mature. My Father-in-Law, Michel, has a lavender farm (and vineyard) near our home and those lavender plants turned 3 years last year (I think!). 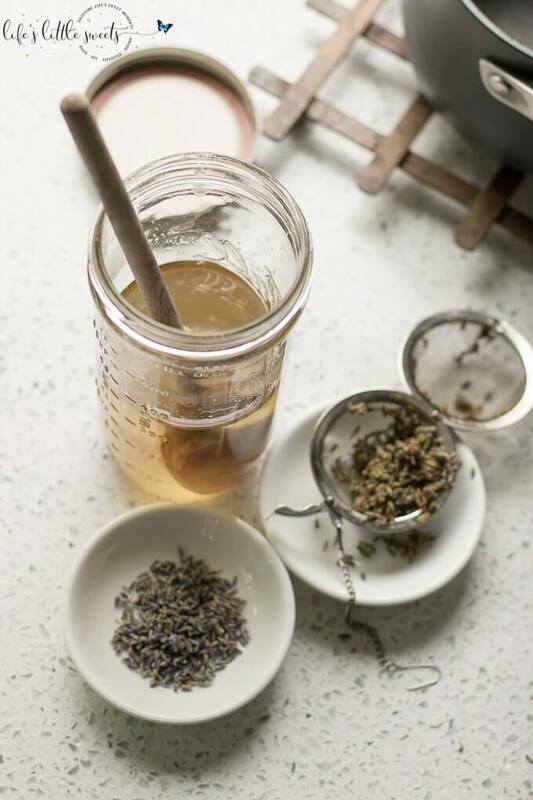 I’ve had many years to think about using that lavender in recipes and this year I am finally doing it starting off with this Lavender Simple Syrup, a perfect base for more recipes. 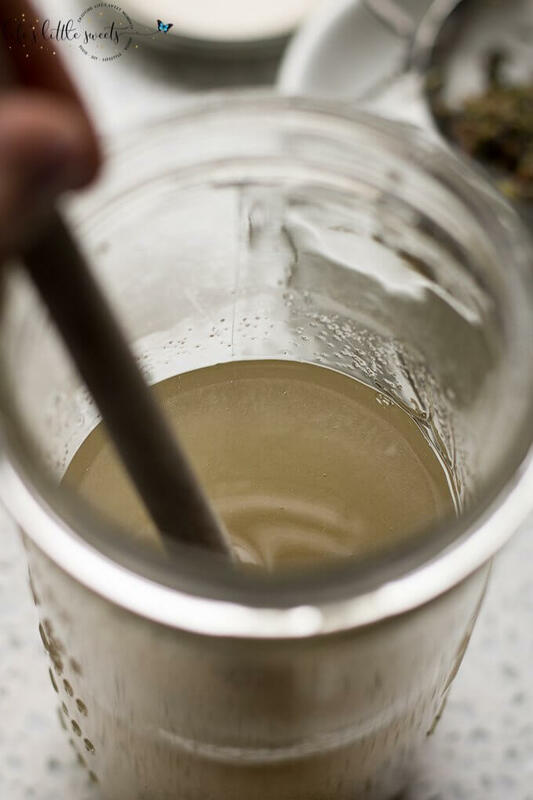 It can be used in cocktails, lemonade, etc. 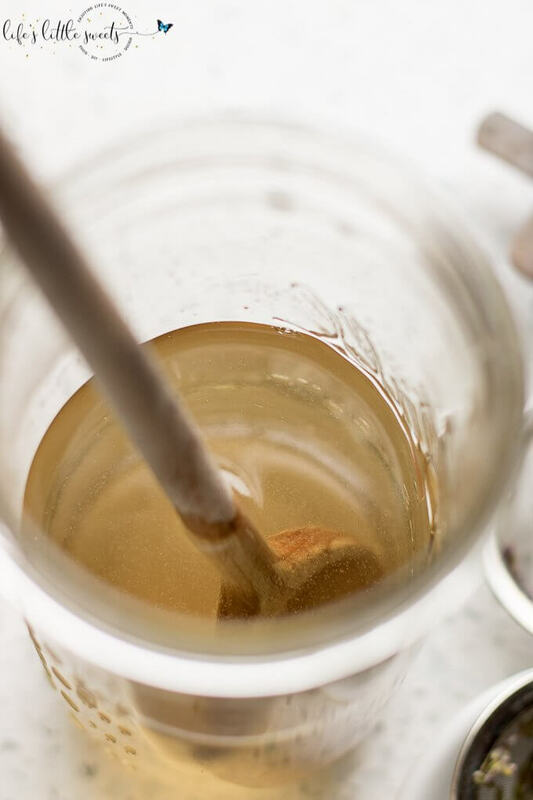 – any number of concoctions your creative mind can think of! 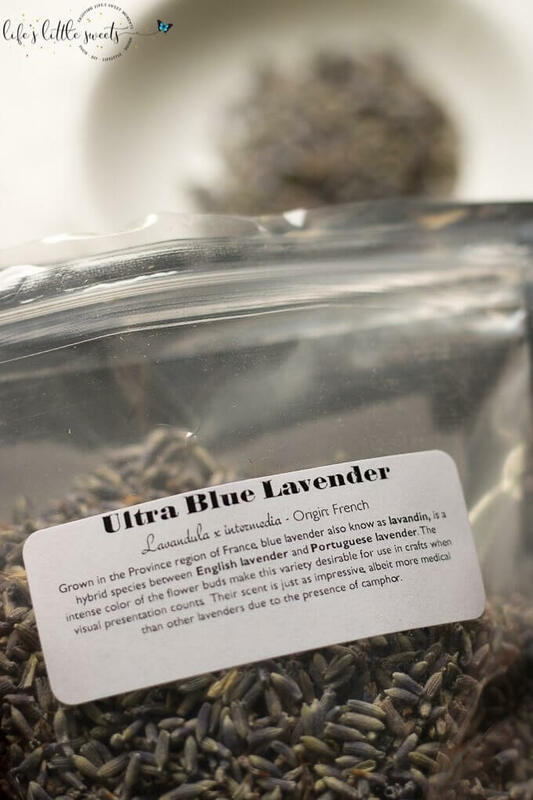 bMAKER has some great lavender (among other flowers!) which I found available on Amazon.com. You may have seen their flowers in this post: Dairy Free Chocolate Cupcakes. 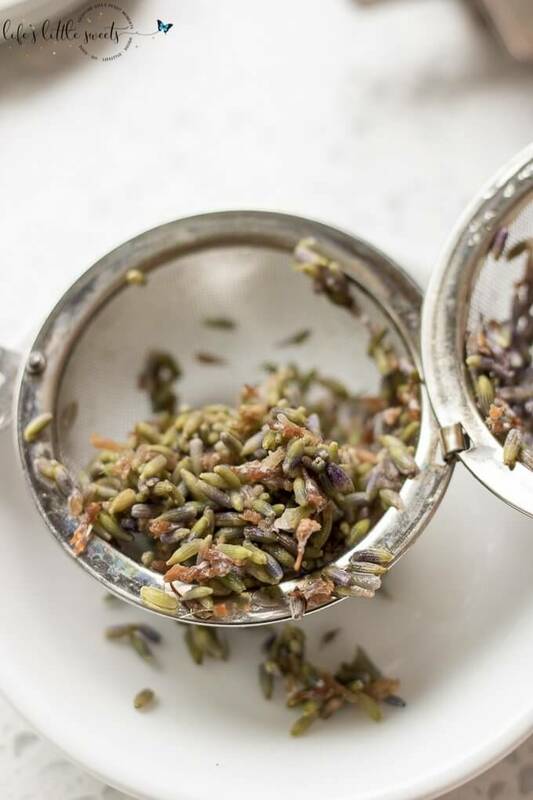 Tell me, what will you use this Lavender Simple Syrup in? I want to know in the comments below! 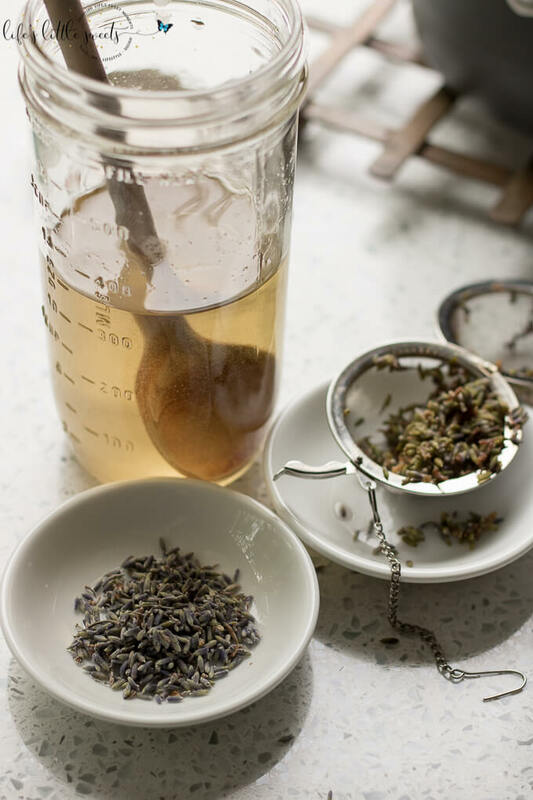 I know you will love this Lavender Simple Syrup, I’m dreaming up several ideas as I write this! 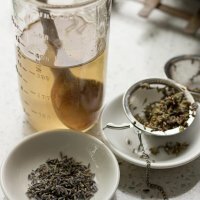 I was amazed at how non-herb-y the Lavender Simple Syrup tastes. 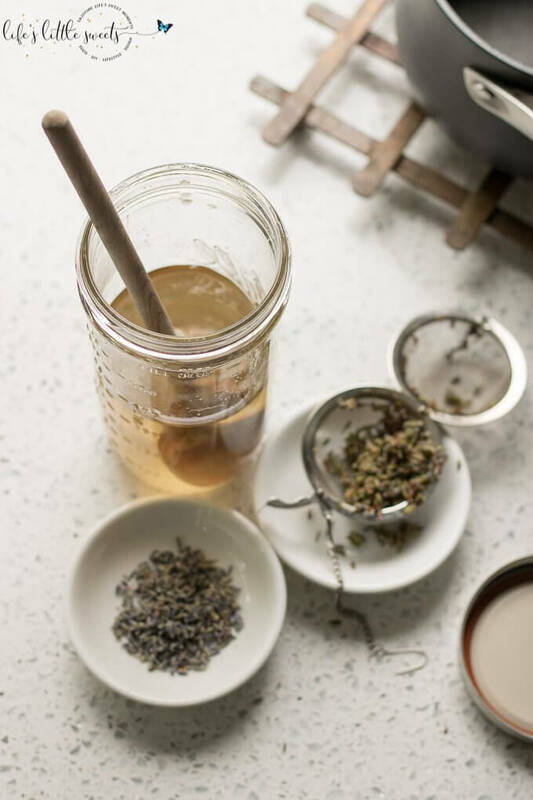 I would recommend experimenting because you might want it to be lighter or stronger depending on your taste preferences. The amount that I have in the recipe card below is a good middle of the road baseline for strength and flavor. 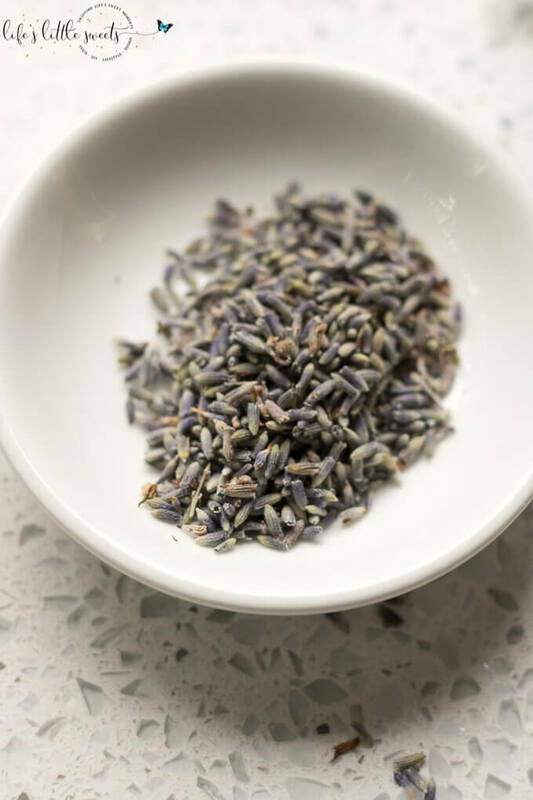 It might also come out different depending on the variety of lavender you get (I took a picture of the variety I used, when it’s in season there are 3 varieties to choose from on the farm, I would probably use the “Grosso” variety which we get the most of). Make it how you want it! It depends on the variety but it’s usually from late June through August. In addition to the farm, we also have several plants here at our house, so I do have quick access when it blooms. We harvest it and dry it so that we can use it year round. It’s so soothing and relaxing, I just love it! Measure out your ingredients. 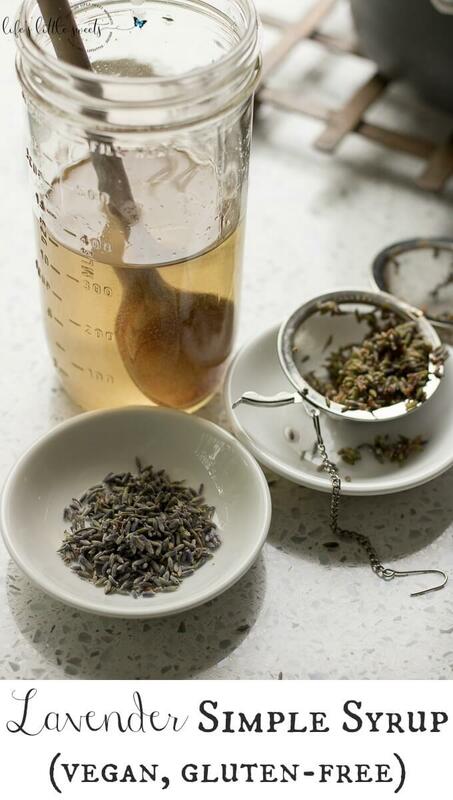 Put 4 teaspoons food grade dried lavender flowers into a fine mesh tea infuser. 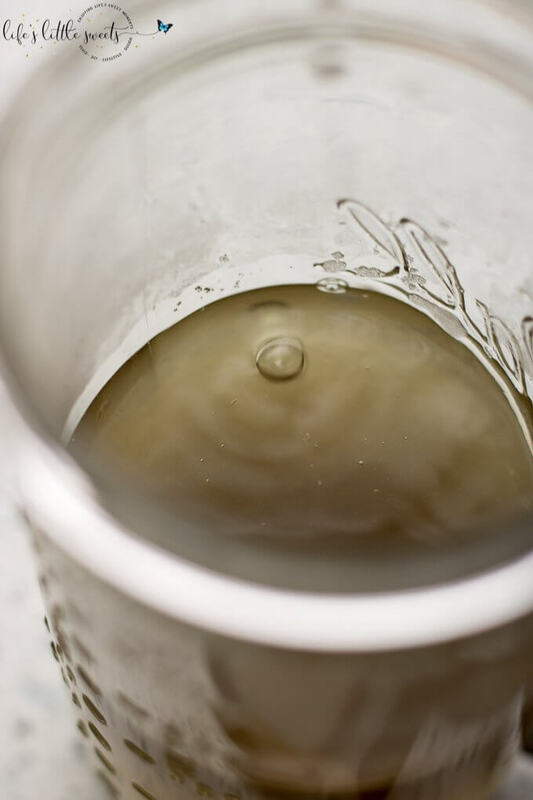 Bring 1 cup of water to a boil in a small saucepan. 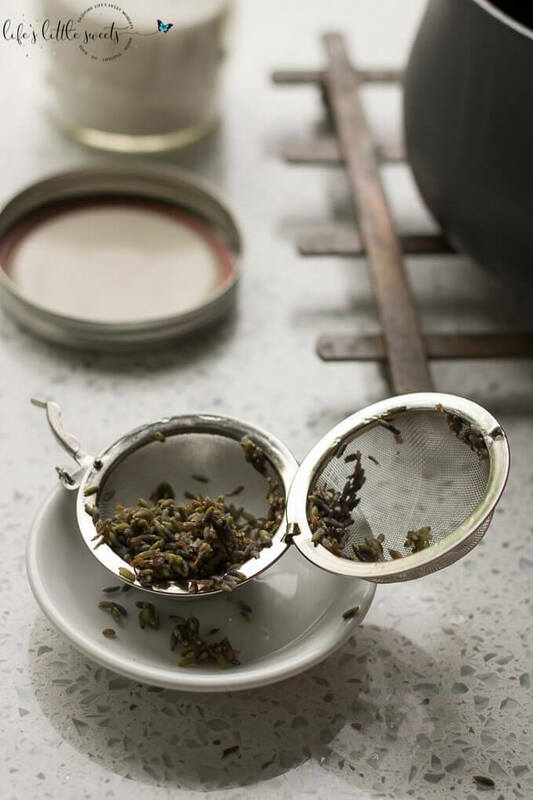 When the water is boiling, remove the pan from the heat and place on a trivet, drop the tea infuser filled with lavender into the water and cover. Allow to sit for 10 minutes. 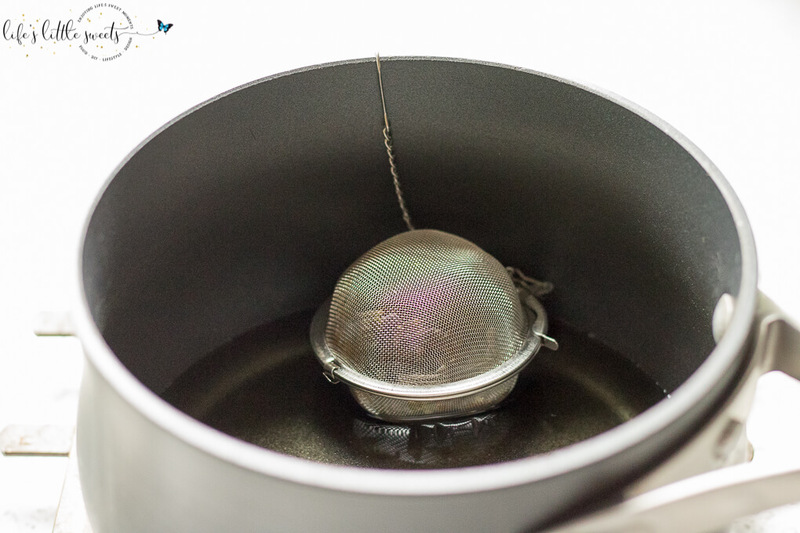 At the end of 10 minutes, uncover, remove the tea infuser and discard the lavender. 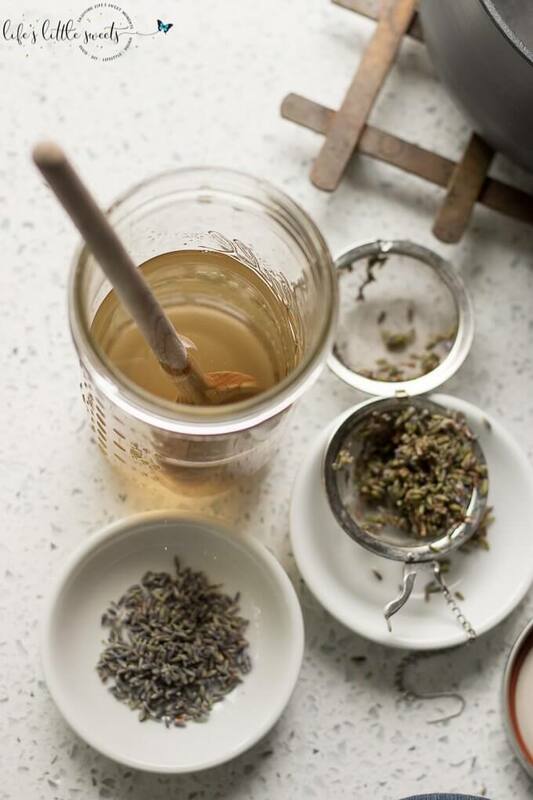 Mix the lavender-water and the 1 cup of sugar, stir with a spoon until it is completely dissolved. Allow to cool completely. Cover with a lid and store in the refrigerator until use. Enjoy!